Created by First Nations for all Nations. 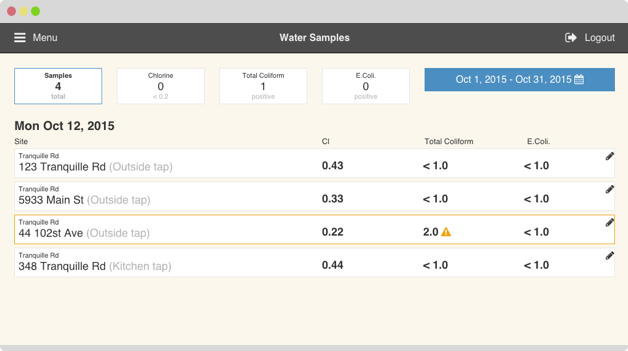 Collect water samples and track your Colilert results for total coliform and E.Coli. Receive alerts when samples test positive and quickly know which location and water system produced a positive test. 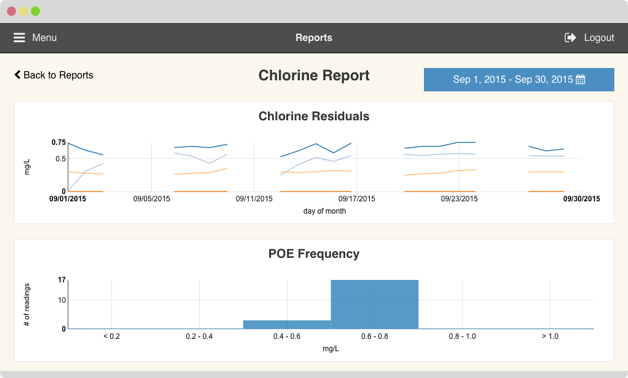 Screen shot - chlorine residual report showing graph of multiple locations over time as well as a histogram. Sewllkwe Water Tracking can graph your water system in ways that make sense for your unique configuration. Visualize your data and spot trends in water usage and system performance. 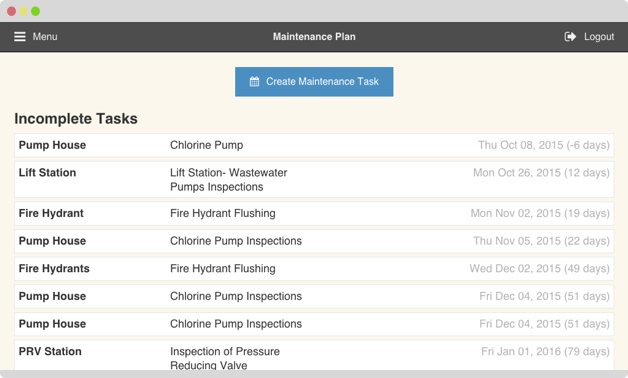 Screen shot - simple maintenance planning with tasks on assets due at specified dates. Scheduling your maintenance plan with is simple with Sewllkwe Tracking. Everything from hydrant flushes to inspections can be scheduled so you never miss an important task. Your data is securely held in Canada with Canadian owned providers. Easily share data and results with necessary agencies and stakeholders. Sewllkwe Water Tracking can be easily adapted to your unique water system configuration. © Copyright 2015, Sewllkwe Tracking Solutions Ltd. Share by Nathan Thomson. Gear by Icomatic.